Our Youth in Wilderness program is preparing for a busy spring season with 17 expeditions on the calendar! 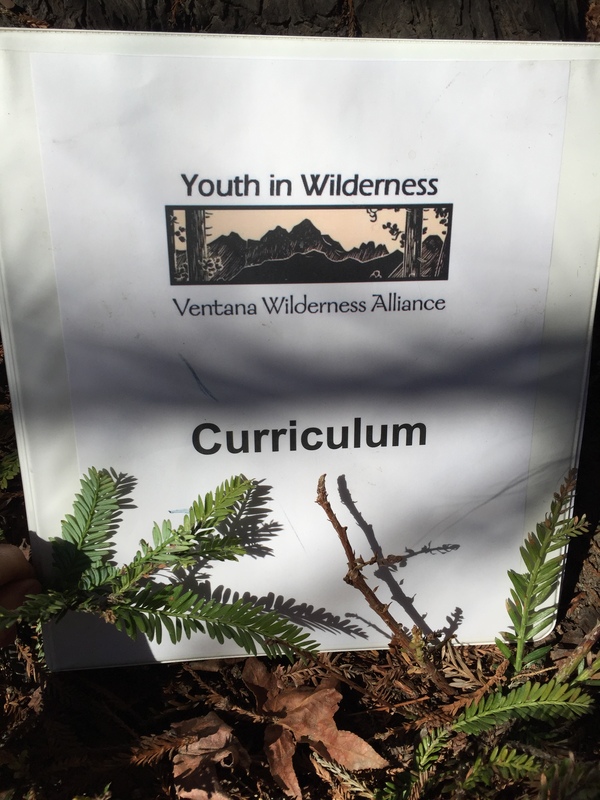 Students from 13 partner groups from all over Monterey County will participate in environmental education expeditions and service projects in the Ventana Wilderness and surrounding public lands. To prepare for the field season, YiW Program Manager Toan Do and Lead Field Instructor Jacqui Bergner have been hard at work preparing an extensive curriculum plan for the program containing lessons on wilderness skills, Leave No Trace principles, team-building exercises, self-discovery, conservation, and natural history. There are currently 52 pieces of finalized curriculum that YiW Field Instructors can use to create a customized lesson plan for each outing. All lessons focus on experiential education, and each lesson includes discussion prompts and activities for learning through exploration. 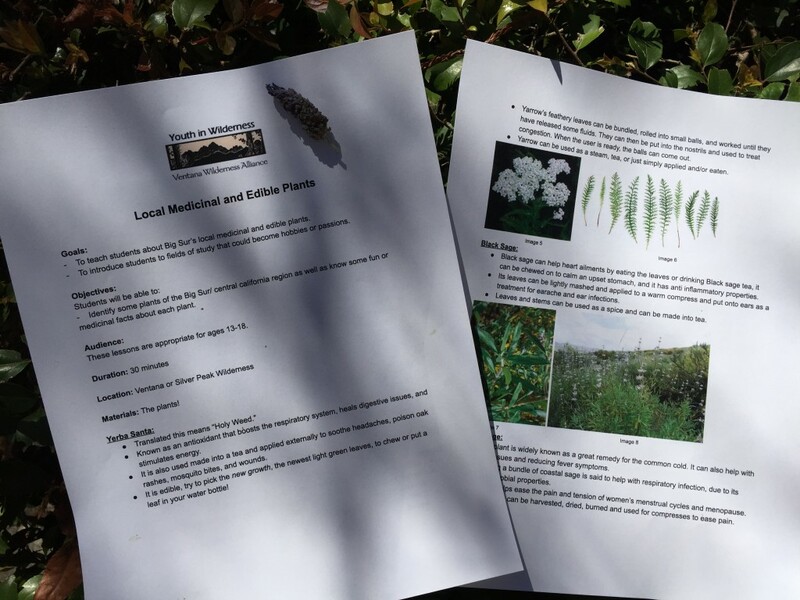 In a popular lesson on Edible and Medicinal Plants, students will identify native plants in the Ventana Wilderness and learn about their traditional uses. Adventurous students will have the option to sniff some aromatic Yarrow to relieve congestion, chew on a Yerba Santa leaf or throw a few California Bay Laurel leaves into their cooking pots. 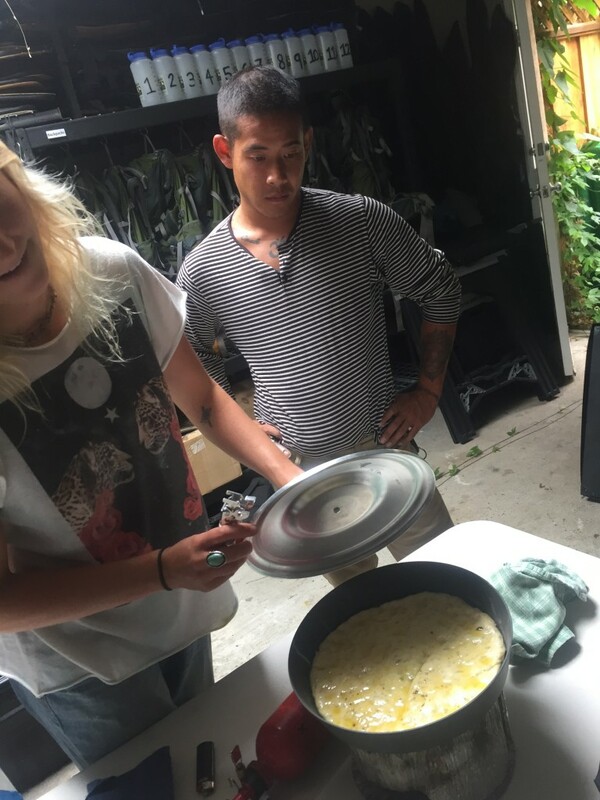 Toan and Jacqui have also prepared lesson plans on how to cook delicious meals in the backcountry! Students will learn about food shopping, healthy eating, nutrition as well as how to use camp stoves. Each student will get a chance to try cooking and baking for their classmates. 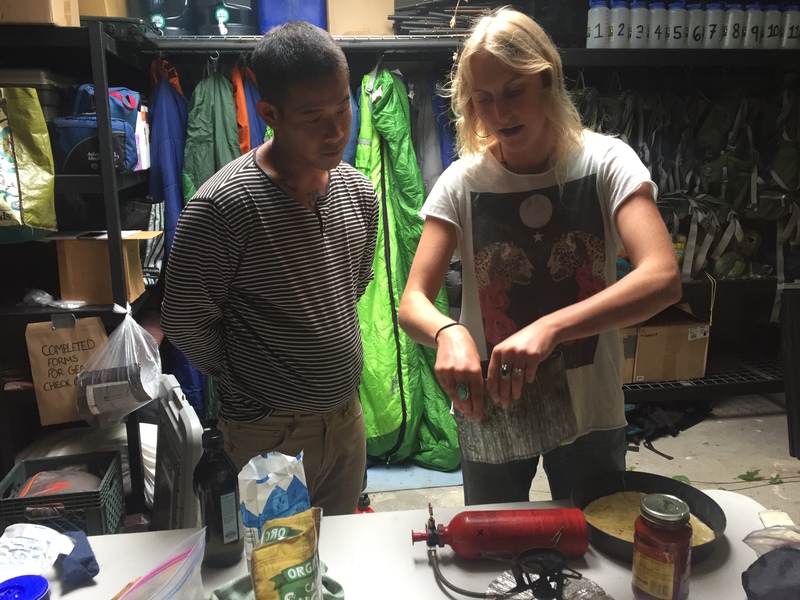 With the right tools and knowledge, backpacking meals can go from bland to gourmet. 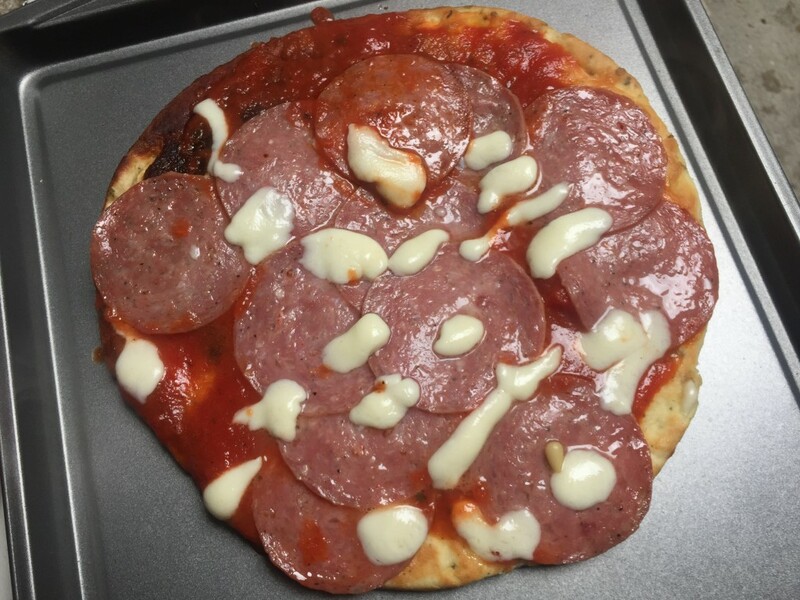 Nothing makes tired, hungry students happier than making their very own personal pizzas at camp. 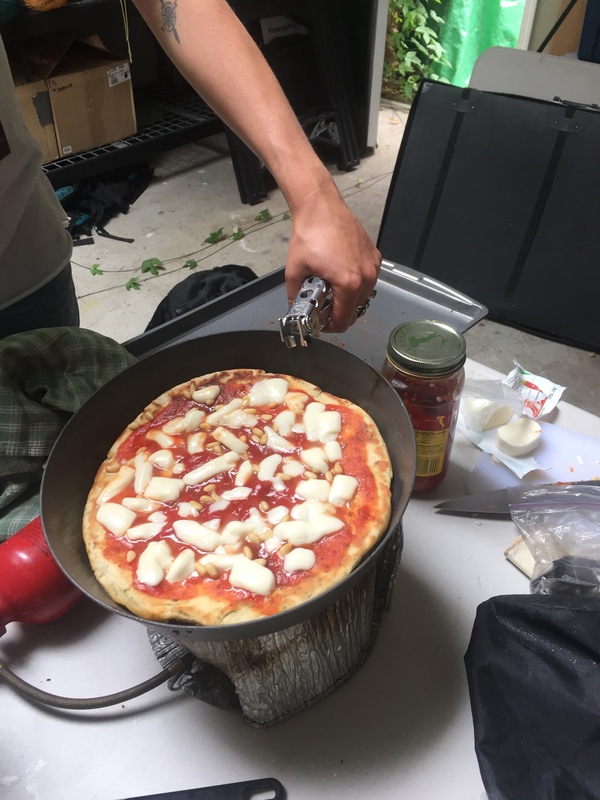 We honed our backcountry pizza recipe to perfection at the VWA headquarters before trying it out with students in the field. Here Jacqui demonstrates how to set up the stove and start cooking the dough, while Toan keeps the next batch of dough warm under his shirt while it rises. After a few test runs, the pizzas came out great! 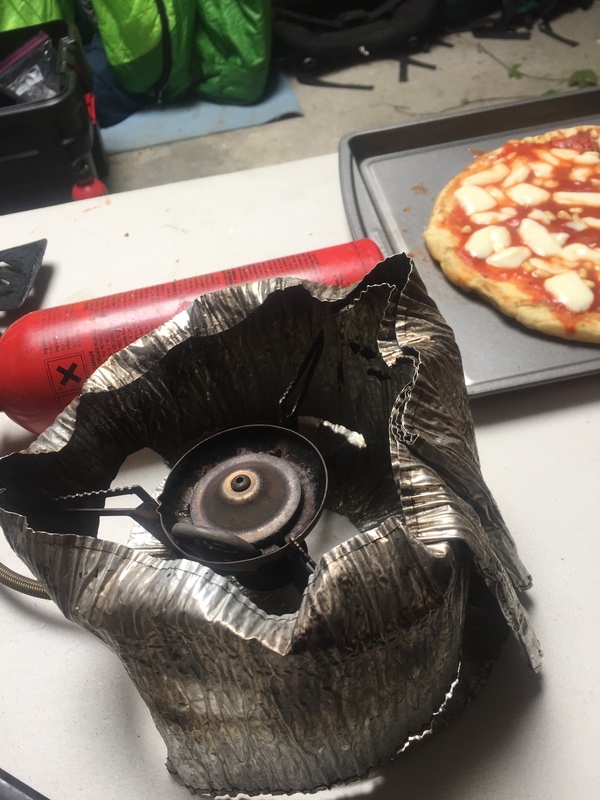 Try making a backcountry pizza yourself! This recipe makes enough dough for 2 personal pizzas. To start, you'll need a dutch oven or a sturdy pan with a lid. We use a 12-in wide Fry-Bake, a lightweight pan which is made specifically for cooking and baking in the backcountry. You'll need a camp stove with a windscreen or a hot campfire with coals. Don't forget to check fire restrictions in the Los Padres National Forest before you go out, as there may be restrictions on stoves and fires in place. You'll also need a gallon-sized plastic bag and an extra pot to mix dough ingredients in. To start, set up your camp stove with a "Tower of Power": take the windscreen, make a tight circle with it that is big enough to place over the stove, press down the top of the circle and create divots (it is best when they create a relatively flat surface), place the windscreen over the stove, depressurize it, and put the pan on top of the divots. If you're cooking on a campfire, position hot coals beneath and around your pan, as well as on top of the lid. 1.Set up your stove with the Tower of Power or campfire coals as described above. 2.Heat water to temp of shower water in a pot. Add salt, sugar and yeast. Let it sit for only 1 minute! 3. In a gallon bag, pour flour in with water/yeast mixture, knead for 10 minutes. 4.Put the gallon bag in a jacket, under t-shirt, etc. to stay warm and let it rise for 45 mins. 5.Set up your pan/Dutch oven/Fry-Bake on the stove or campfire as described above. 6.Heat up the 2 tsp. of oil in the pan before spreading out the dough. 7. 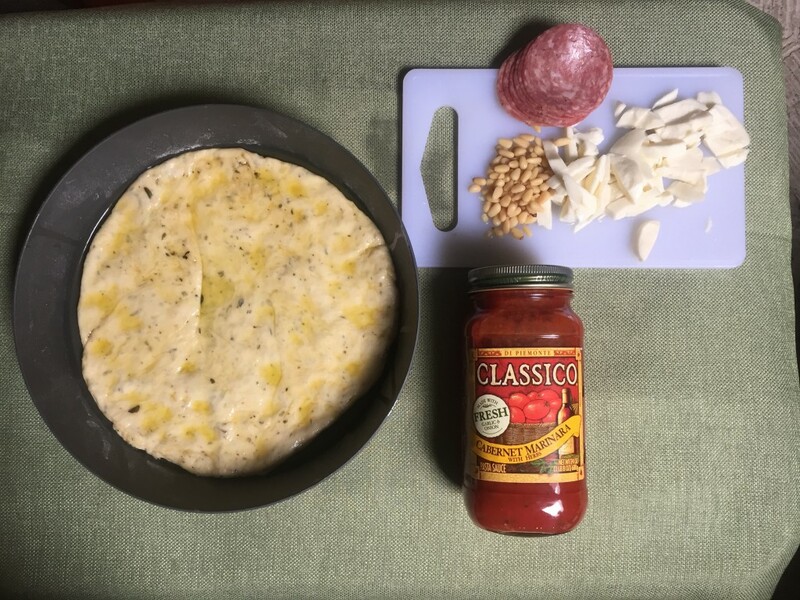 Shape the dough into a flat pizza crust inside the pan. 9. Cook the dough in the oil for about 5 minutes. Check the underside of the dough, and flip when it's golden brown. 10.Cook the other side of the crust for another 5 minutes while you add sauce, cheese and other toppings. Use a lid while cooking for best results!